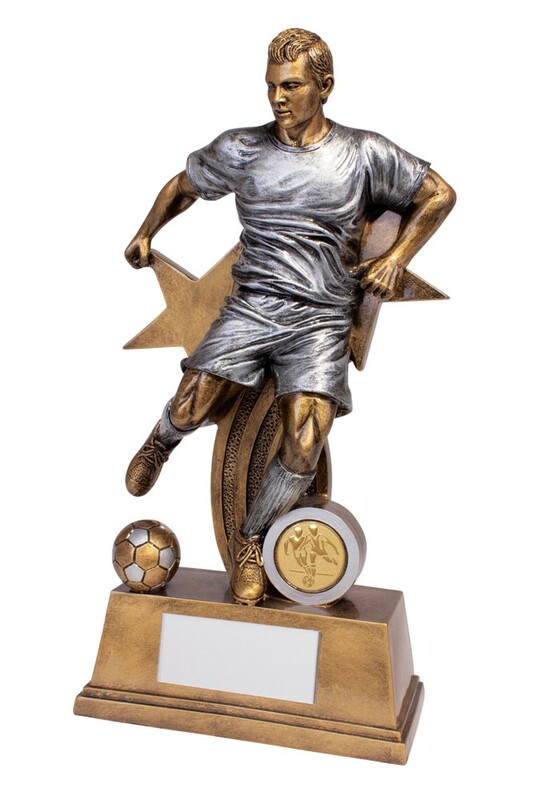 Resin Warrior Star Male Football Figure awards. Available in 6 sizes, 125mm, 165mm, 205mm, 245mm, 285mm and 325mm high. Antique bronze solid resin award with silver detail.